I truly have nothing bad to say about this club. I guess if you’re someone who really likes to tee the ball high, the HiBore’s face isn’t quite as deep top-to-bottom as some of the other large clubs around these days, so you might be somewhat more likely to hit a “sky-ball” with the HiBore than a deeper-faced club. 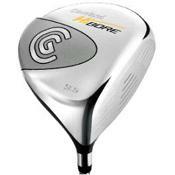 Personally, I like the looks and proportions of this club a lot, and I envision that’ll only increase the more rounds I play with this driver. I think there’s a tendency to dismiss this club because of its odd shape; I also think to not take one out for a try is a real missed opportunity. Take a look at some more Cleveland HiBore Drivers. Weighing in at just 284 grams, the TaylorMade Burner SuperFast Driver is the lightest, fastest driver TaylorMade has ever created. Designed to deliver boosted clubhead speed and excellent distance, the SuperFast also holds the largest clubface of any TaylorMade Driver. The bigger face gives the golfer more area to strike the ball with, which is a distinct advantage. 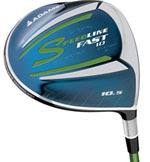 The updated club face features a different bulge and roll design that works with the higher moment-of-inertia head to assist with off-center strikes.The 460cc club head of the Burner SuperFast is sleeker and more aerodynamic than the previous Burner driver, allowing it to slip through the air more quicker and help the golfer swing the club head faster. The Burner SuperFast comes with a 46.5-inch Matrix Ozik XCon 4.8 shaft, which is both extremely lightweight. This grouping helps launch drives on a superior trajectory with added spin thereby improving the distance for slower-swinging golfers. 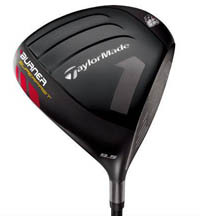 Take a look at some great prices on TaylorMade Burner Superfast Drivers and report back with your own reviews. The Scotty Cameron Studio Select is a family of precision milled 303 Stainless Steel Newport-style putters featuring a bold red tour graphic apperance, an improved high toe profile, and heel & toe circular sole weights that allow for multiple length options in each model. The Studio Select also features a stepless shaft for a clean look at address and soft but solid feel, as well as a new red Cameron cord grip. The circular heel-toe weights provide increased stability by reducing head rotation on off-center impacts for a larger sweet spot. The factory adjustable weights are set to provide the proper headweight-to-shaft length combination. The improved high toe profile of Studio Select helps eliminate the tendency to raise the toe at address thereby causing the player to aim left of target. Same round, “full” body of the Newport, but with a flared neck for less offset at address. My previous putter was a zebra teardrop which in my opinion is a great lower cost club. I was very pleased with it but when I had a go of the scotty it blew it away which was a surprise as I felt that the zebra was perfect for me. So if your like me in the way that you think your putter is good but there might be a better one out there then give the Scotty a go, you might be surprised. The price is steep but you definetely get what you pay for with this club. 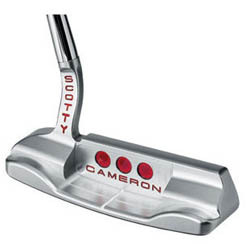 Retail prices are close to $500, be sure to check out some better deals on the Scotty Cameron Studio Select Newport 1.5.